According to The Miami Herald, the stationary worm snail attaches itself to shells, coral and other hard surfaces. The mucous that coiled snails use to move around with, stationary snails spit out as webs to trap prey. Such snails can prevent reefs from growing and may carry parasites harmful to loggerhead turtles. As if coral reefs didn't have enough trouble. 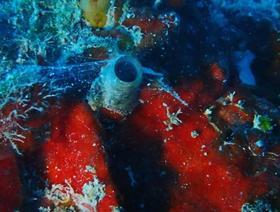 NOW -- a sea snail with "spider-like' powers. WLRN's Christine DiMattei interviews Miami Herald reporter Jenny Staletovich.